Study current efforts for the early detection, exclusion, and treatment of diseased plants and animals. The Subcommittee shall assess the need for regulatory and programmatic changes to address this problem. 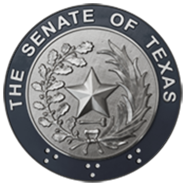 Monitor the development of the 2002 Federal Farm Bill and its impact on Texas. The Subcommittee should assess the need for changes in state law or policies necessary to comply with and benefit from the federal legislation. Study the efficiency, implementation and funding of the Fire Ant Research and Management Account Advisory Committee at the Texas Agricultural Experiment Station for the eradication of fire ants. The Subcommittee shall evaluate state entities currently charged to combat the fire ant problem and make recommendations necessary to ensure a coordinated response.